EVA Container is suitable for dosing of additive or color agent into light fuels. 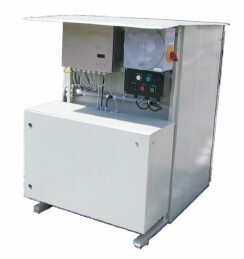 It is designed for outside installation in explosive hazardous area. The equipment is designed as an autonomous skid that includes all the necessary components like storage barrel, gear pump, pressure regulation valve, EVA5 injection unit and accessories. 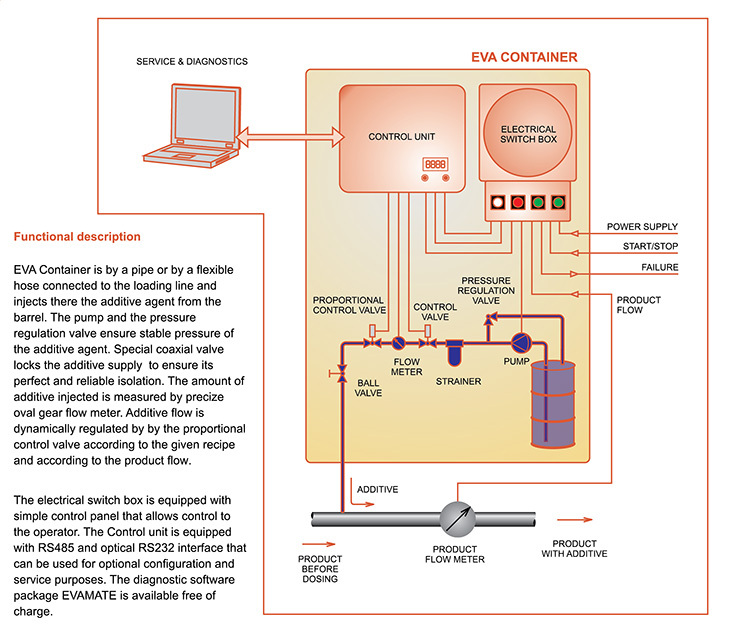 The Container needs an electrical supply and pulse control signal that represents flow rate of main product. The dosing is regulated according to the specific recipe and according to the instantaneous fuel flow to achieve stable additive percentage in the end-product at any time. 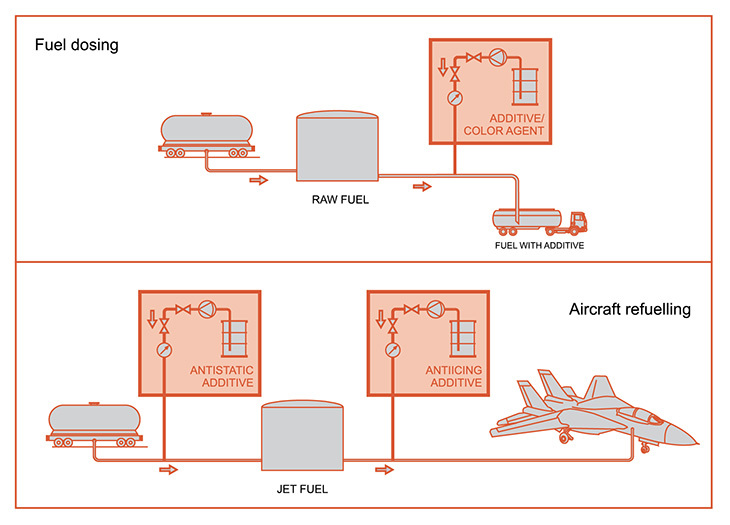 Additive injection or coloring agent into the product pipe at special applications like small tank farms or military fuel bases. Thanks to the design, the Container can be re-configured or moved to different place easily.